Please see the attached flier. 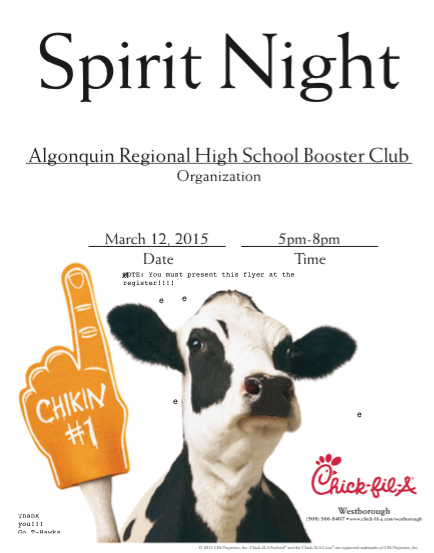 On Thursday March 12, 2015 there will be a booster benefit night at Chick Fil A in Westborough. A percentage of the evening's sales will go to the general booster fund.